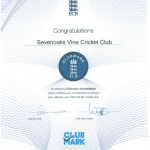 We first gained Clubmark accreditation in 2010 which was successfully renewed in the 2013 season for 3 years. 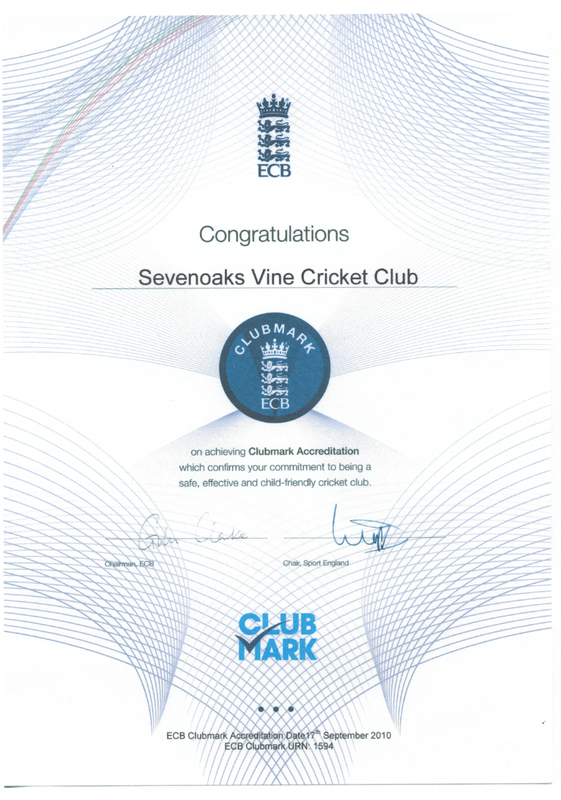 In 2017 Clubmark was officially renewed again until 2020. 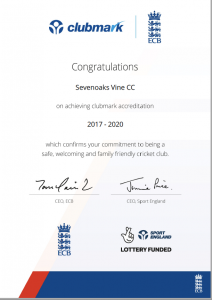 By gaining ECB Clubmark accreditation SVCC are undertaking that we are prioritising junior development and creating a benchmark for high quality community club cricket. 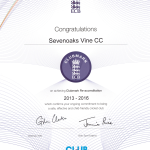 Cricket clubs are required to present evidence and demonstrate implementation across four different themes, culminating in the production of a Club Development Plan which can be seen by registered club members on our Play-Cricket web site. Sevenoaks Vine is situated to the north of Sevenoaks town and, broadly, is situated between Dartford Road and Seal Hollow Road. There is a car park to the north west corner of the ground for use by cricketers and spectators in the summer months only. Whilst there is metered parking along the east side of the ground in Hollybush Lane we strongly advise against it as cars can get damaged by cricket balls. The club accept no liability for damage to cars parked there, or anywhere else around the ground. 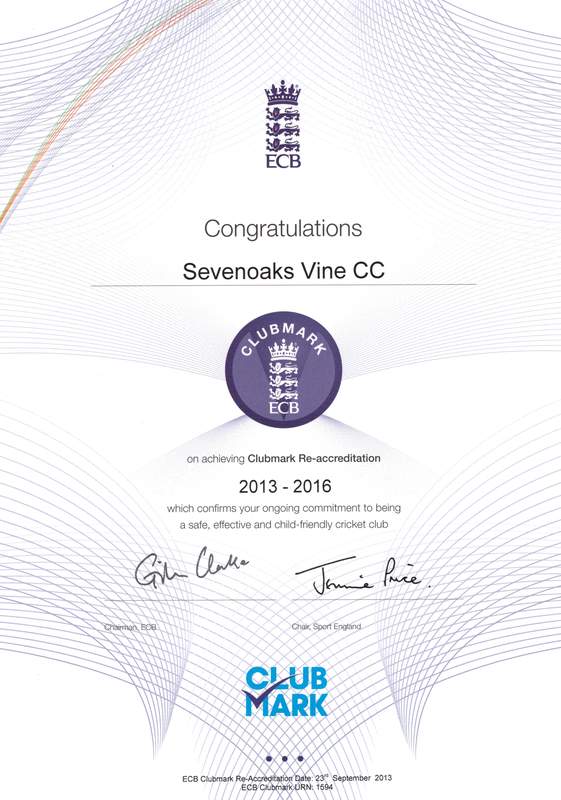 See directions from Sevenoaks Vine cricket grounds to Princess Royal University Hospital, Orpington. See directions from Sevenoaks Vine cricket grounds to Pembury Hospital, Royal Tunbridge Wells. Orchard Field, Otford is situated at the end of Leonard Road which runs beside the The Woodman pub, right by the duck pond. Parking is entirely at the owners risk and the club accepts no responsibility for any damage caused to cars. See directions from Otford cricket grounds to Princess Royal University Hospital, Orpington. See directions from Otford cricket grounds to Pembury Hospital, Royal Tunbridge Wells.